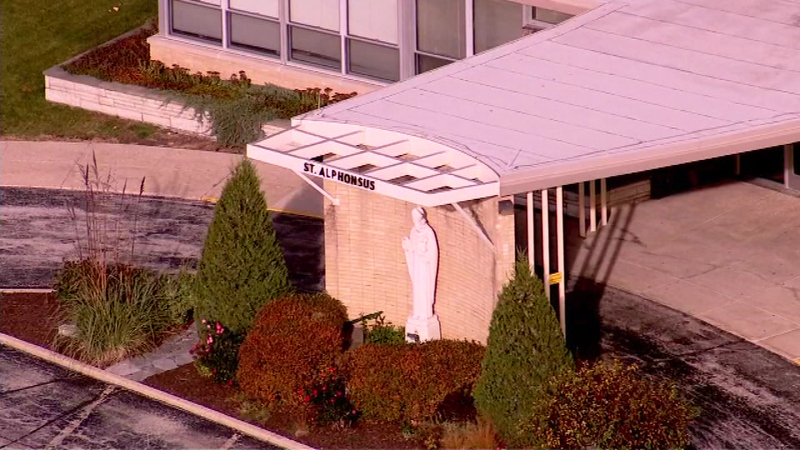 PROSPECT HEIGHTS, Ill. (WLS) -- The Prospect Heights Fire Department says a teacher was injured when a small fire broke out at St. Alphonsus School Monday afternoon. Fire officials say the teacher was alone in the school's science lab preparing an experiment when something went wrong and a very small fire broke out. The teacher was burned in the fire and taken to the hospital in stable condition, officials say. School was already out for the day at the time of the fire.